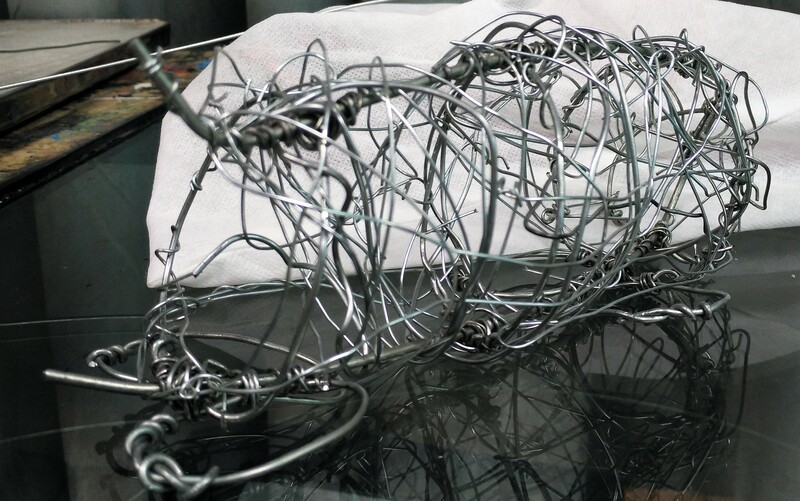 Have you ever made a handmade sculpture of any type of animal? 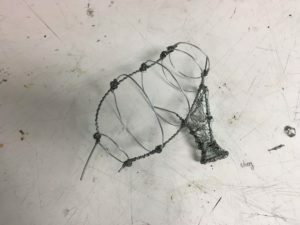 If you have, what about making it out of wires? 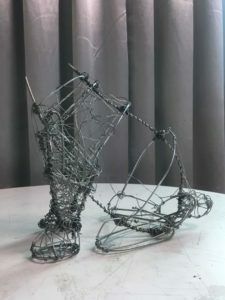 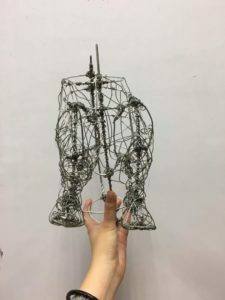 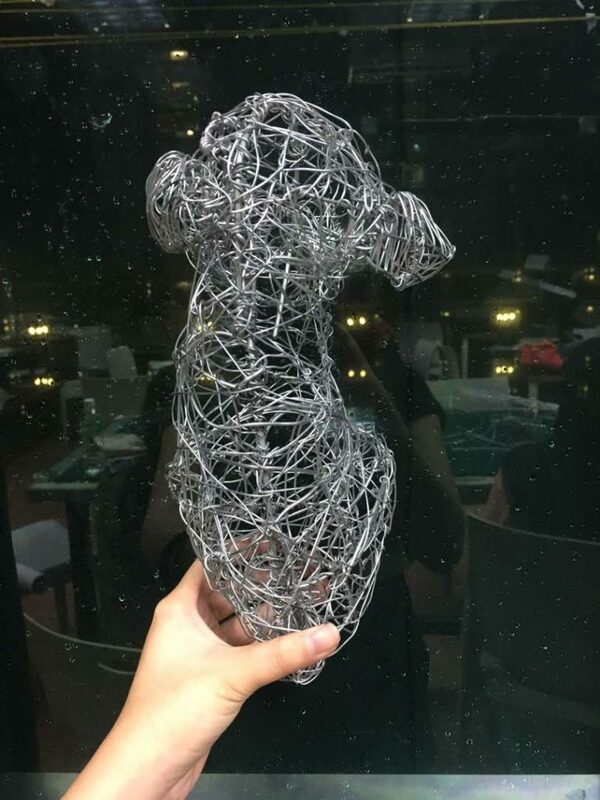 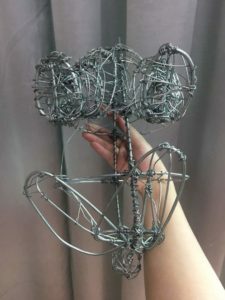 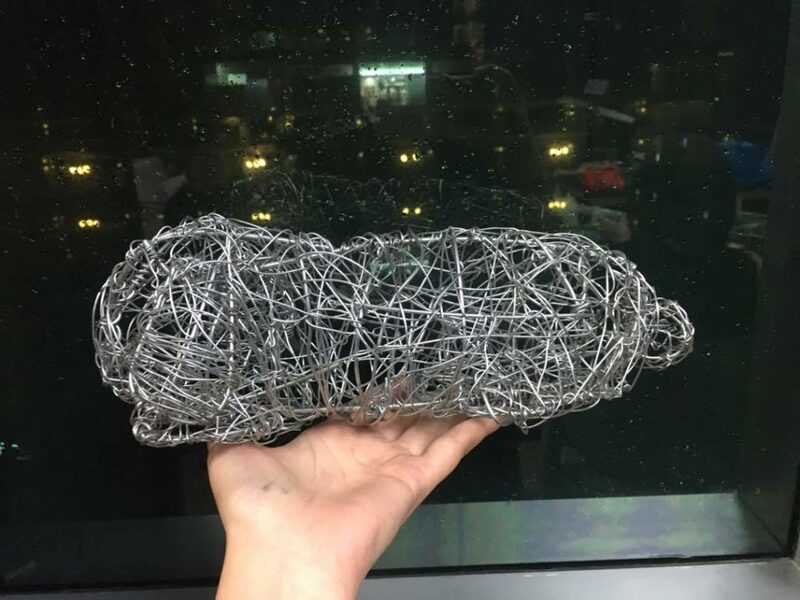 This is my first time making a sculpture out of wires. 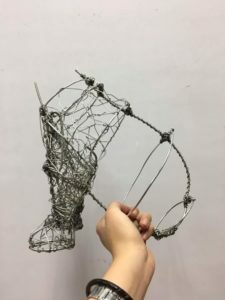 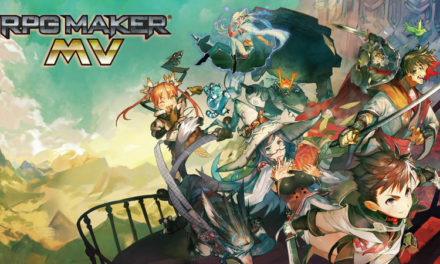 In this assignment, we were ask to form groups with 4-5 members. 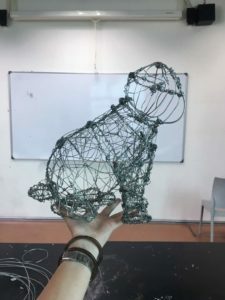 We had to build a wire sculpture of any choice of animal. 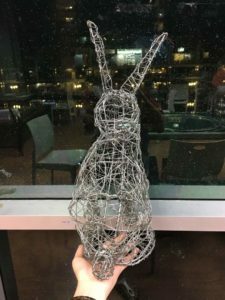 My group chose two types of rabbits. 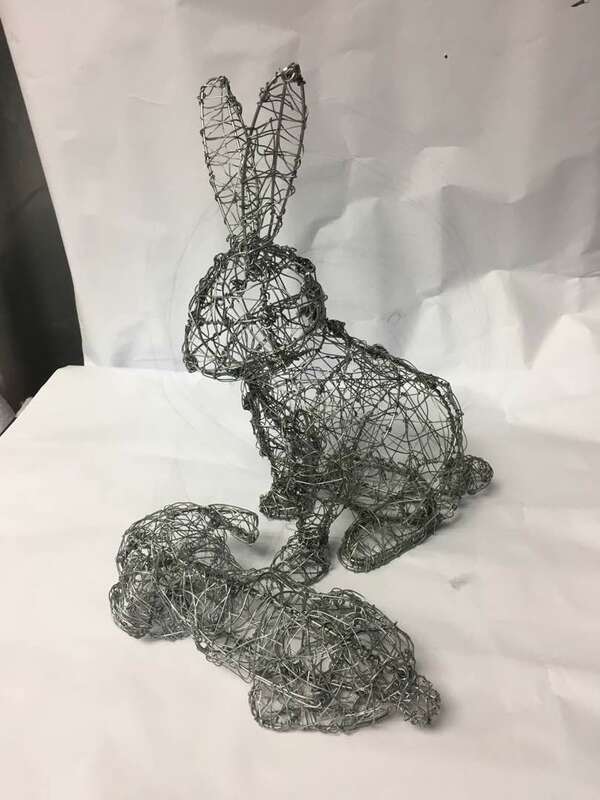 One is a Rex Rabbit and the other one is a Cashmere Lop. 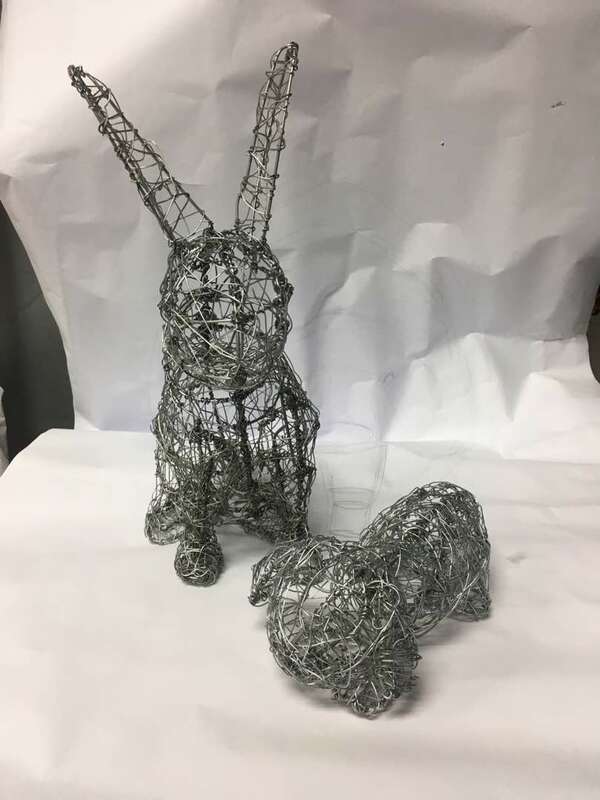 We had an idea to make each rabbit with different positions. 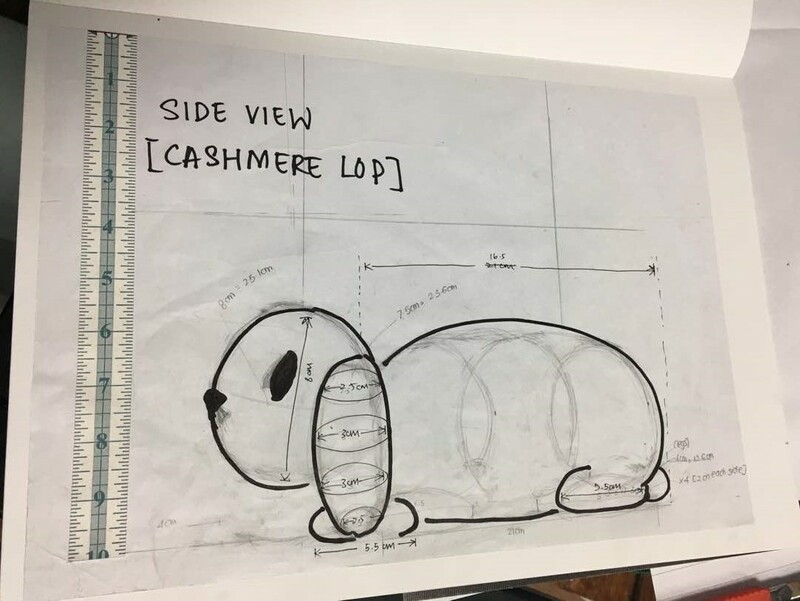 But before that, we had to individually come up with sketch ideas of the position of the two rabbits. 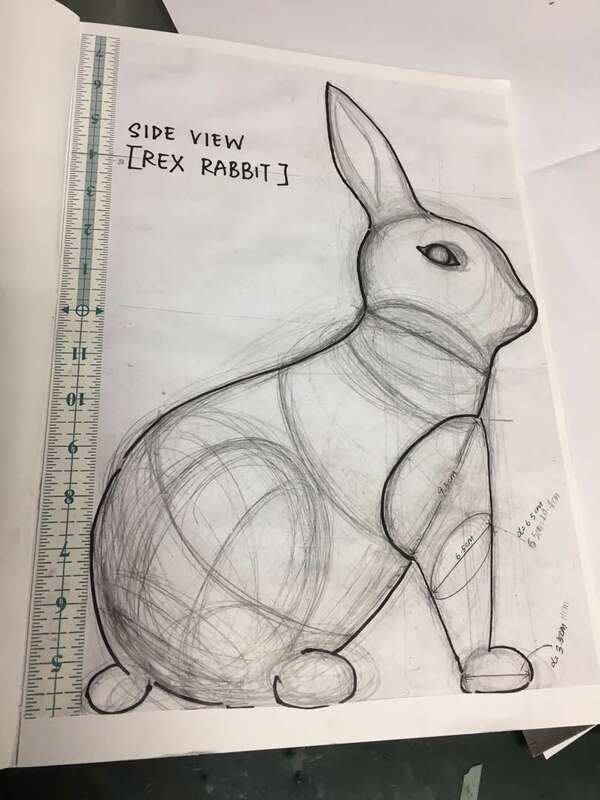 As for me, I did two sketch ideas and the anatomy of a rabbit. 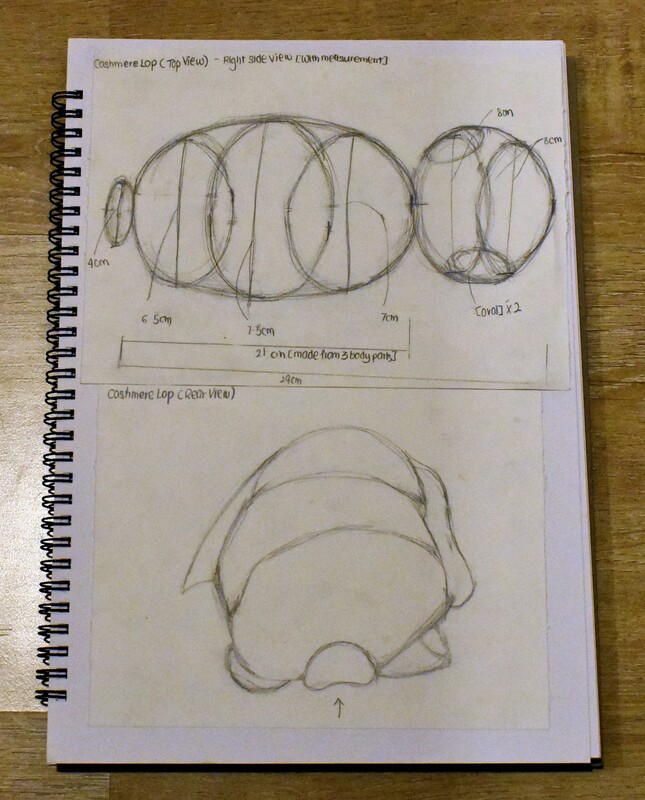 I drew a mind-map of each rabbit using my research of the features of the two rabbits. 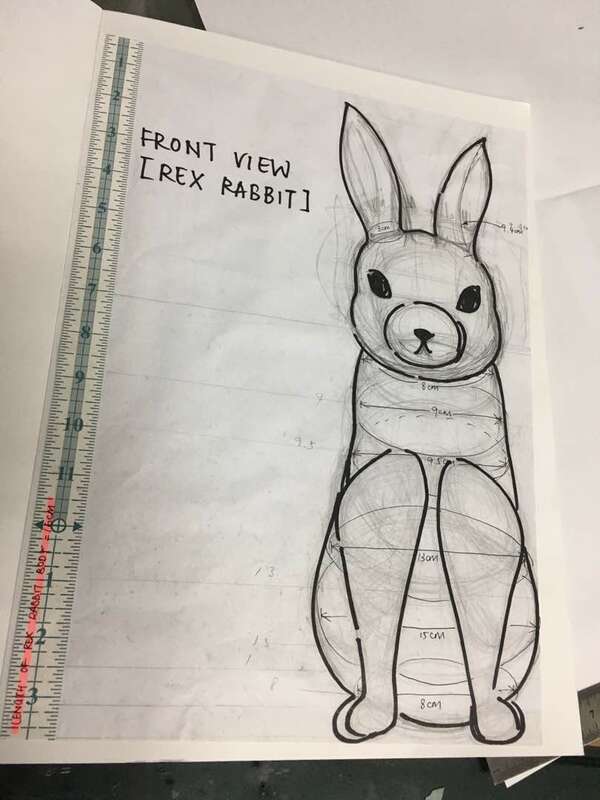 Using our individual sketches, we picked the best ideas for the final position of each rabbit. 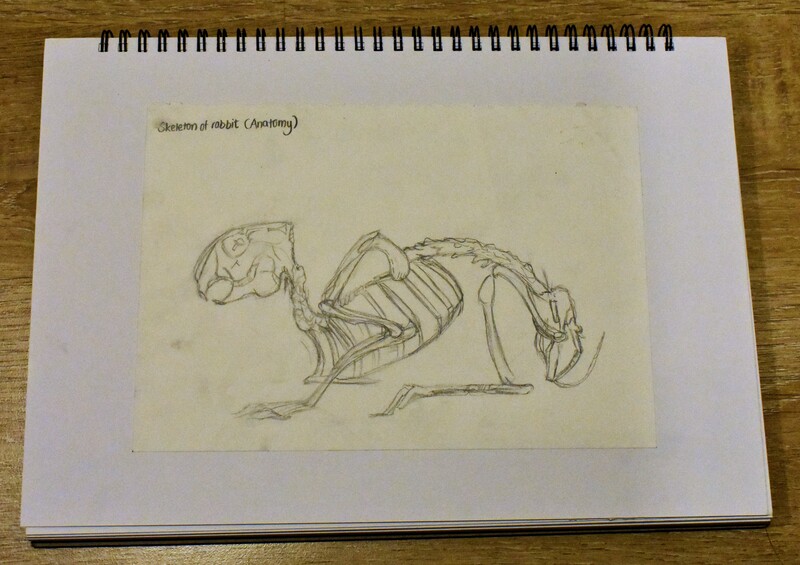 Then we had to draw a life size drawing of each rabbit. 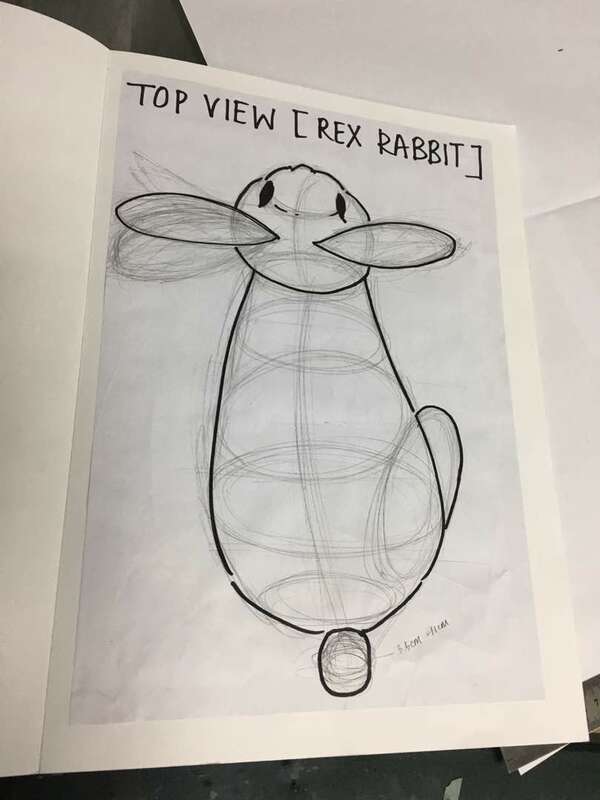 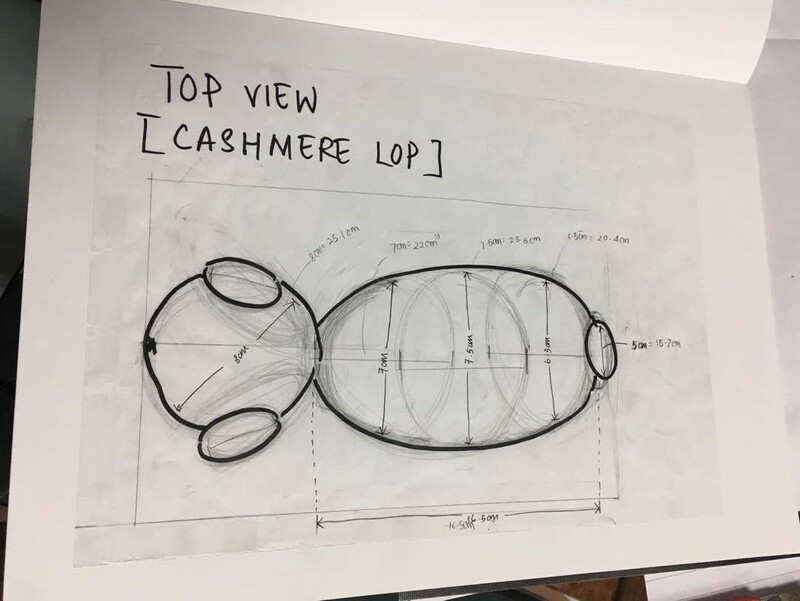 Each rabbit needs to have five different views: front view, side view, top view, rear view and elevation view of right and left. 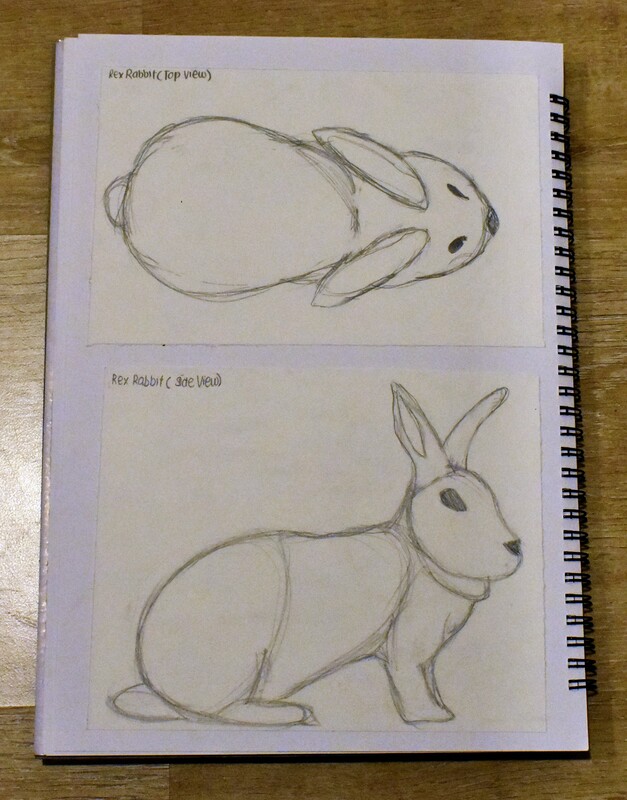 We decided to use mahjong paper to draw the life size rabbits. 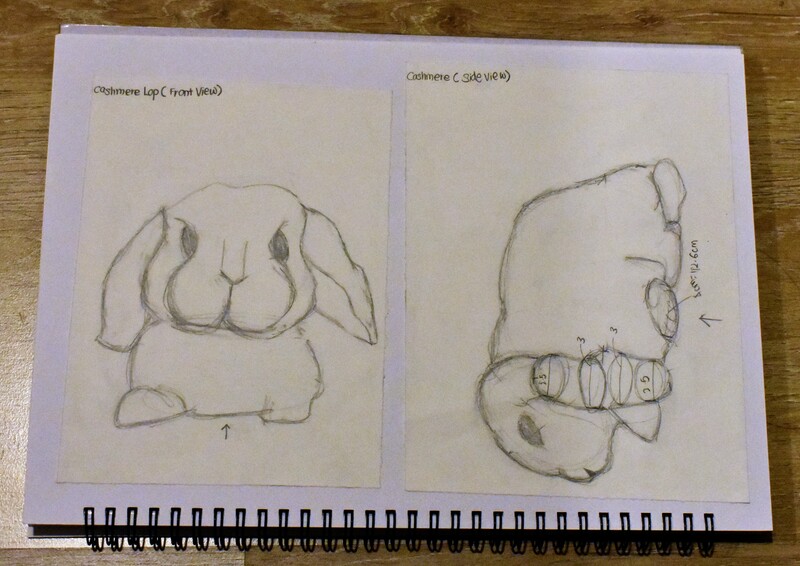 I drew some drawings of both rabbits in different views. 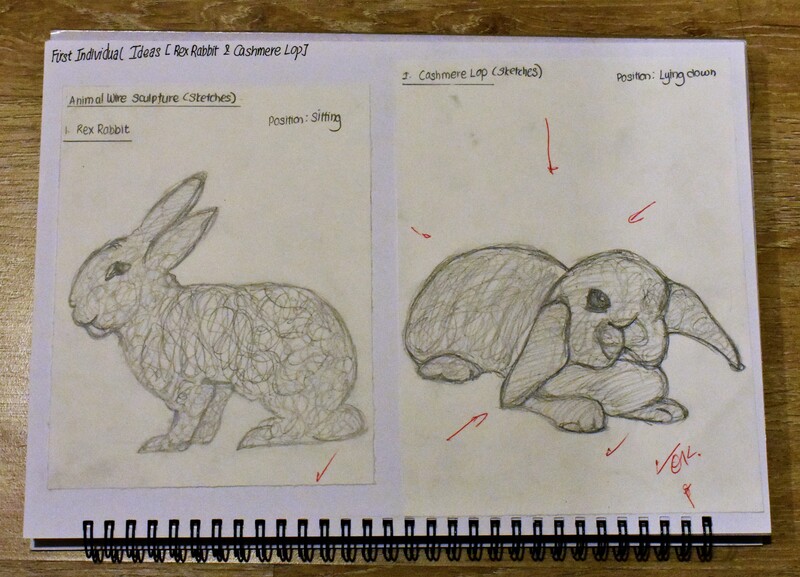 After I have finished my individual idea sketches, our group drew life size drawings of both rabbits. 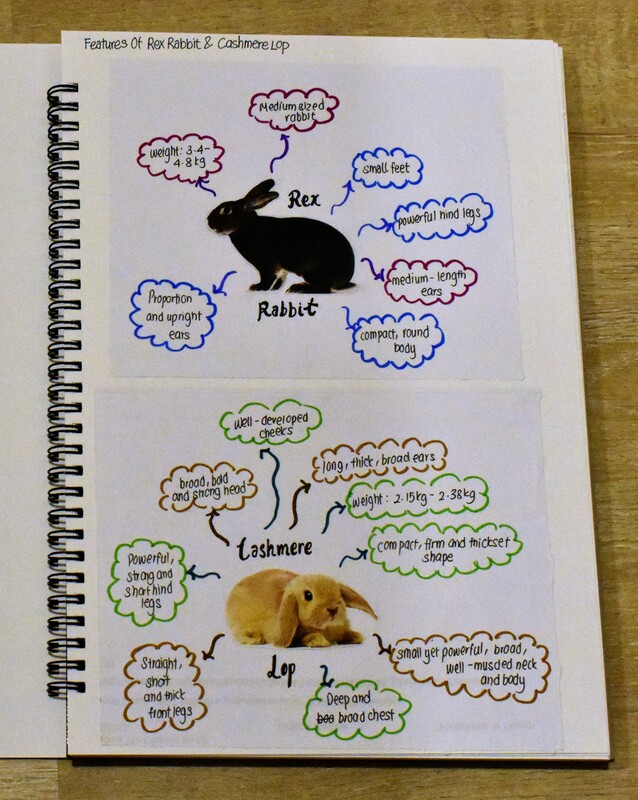 We even wrote measurements for both rabbits. 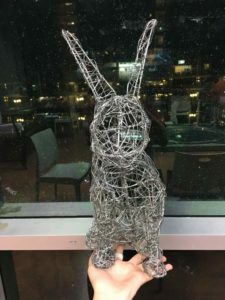 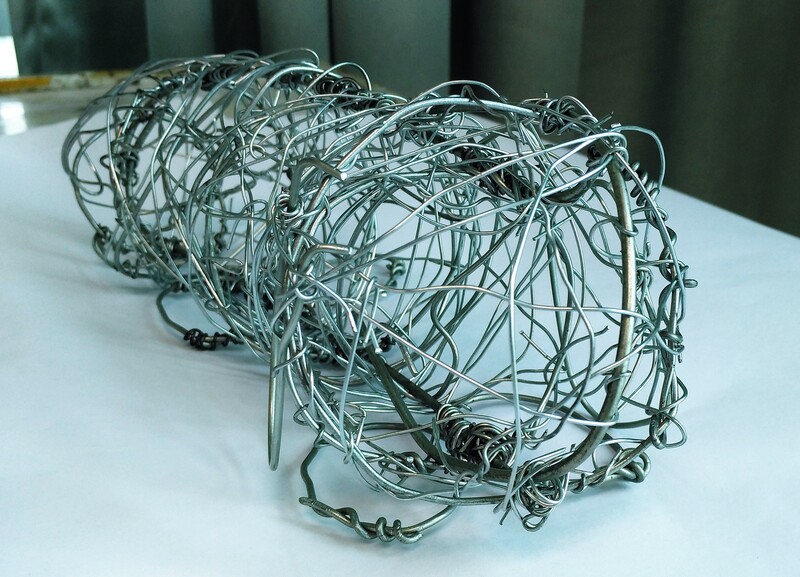 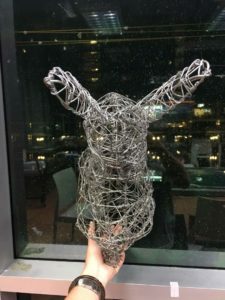 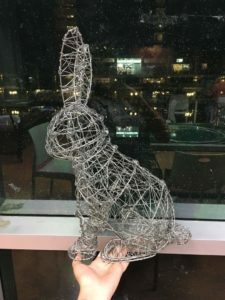 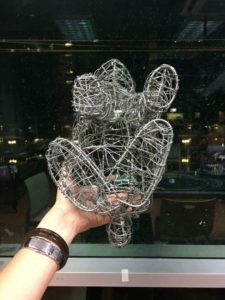 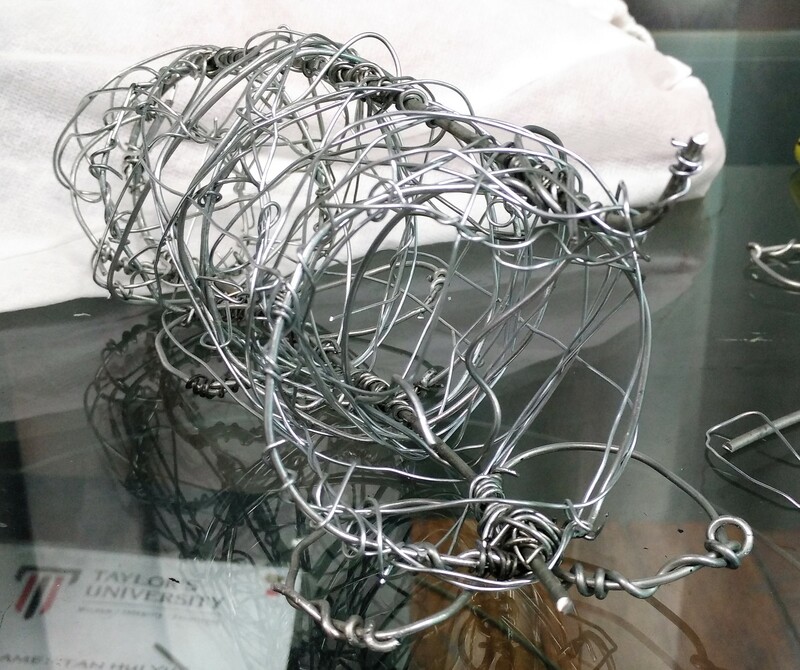 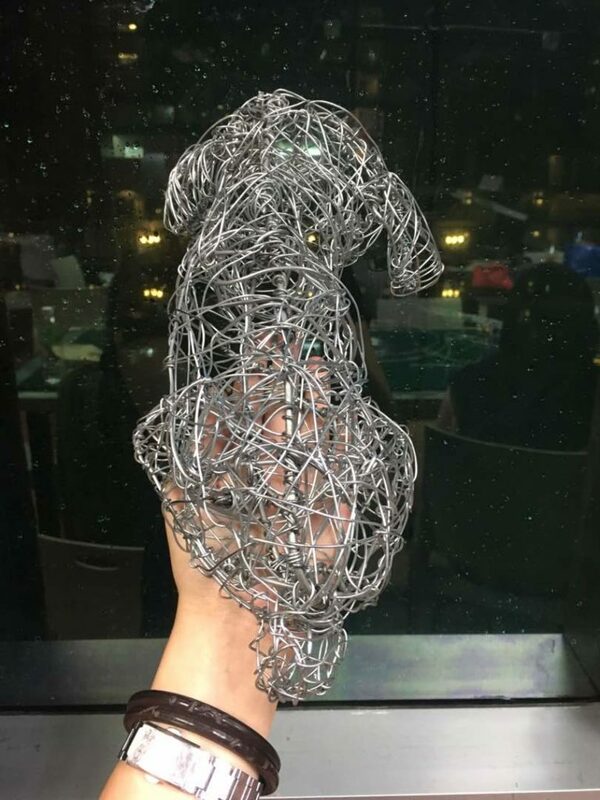 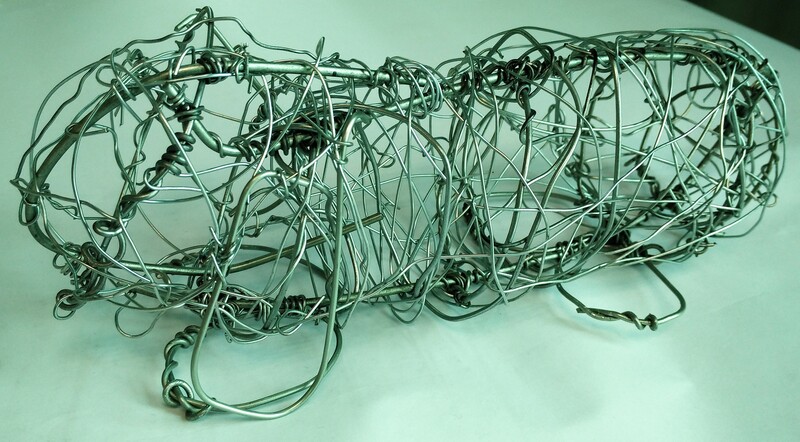 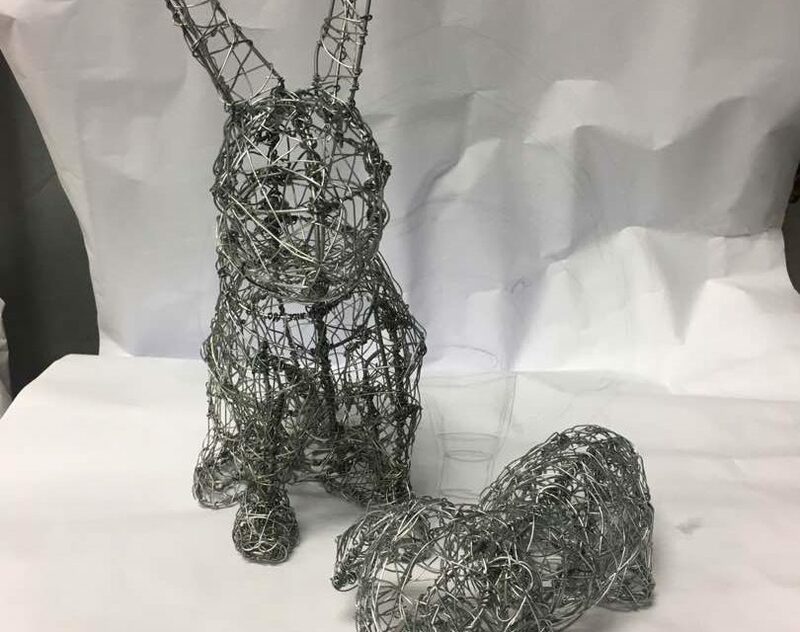 After completing the life size sketches, we started to make the wire sculptures of both rabbits. 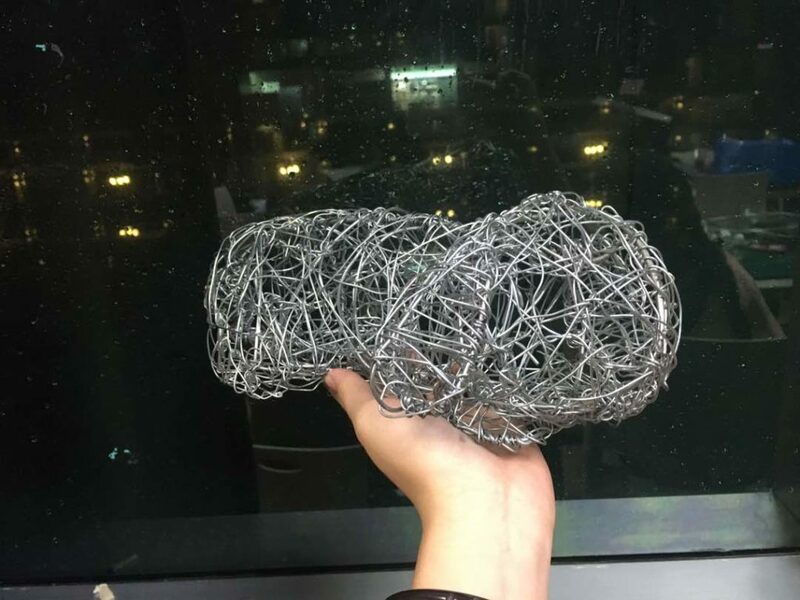 Here is our making process. 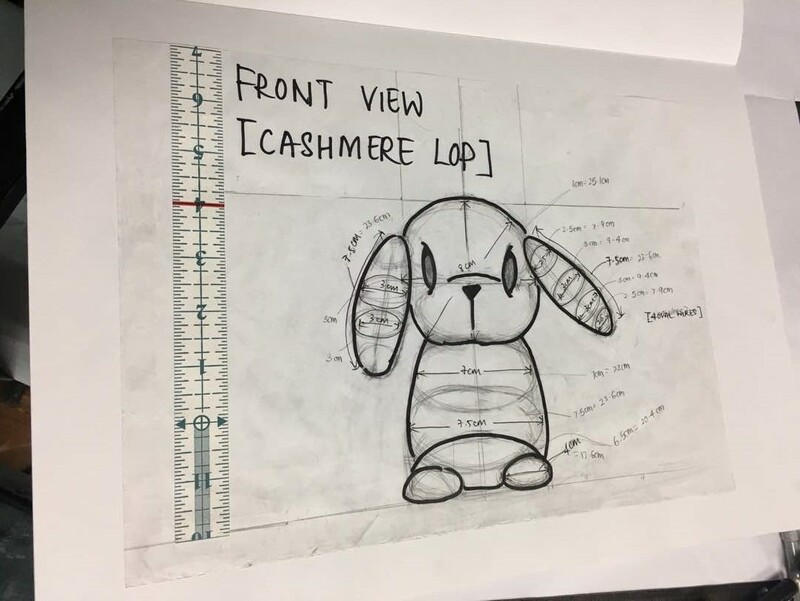 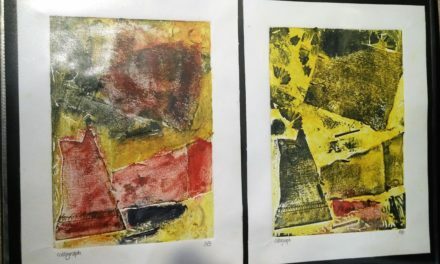 After this assignment, I learned that it was not easy to begin with but after some time we get used to the making process and made it look better. 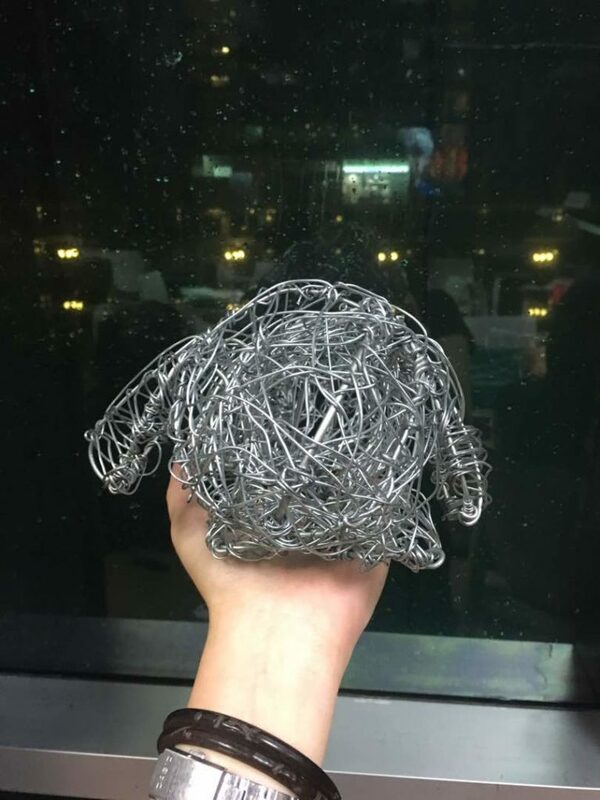 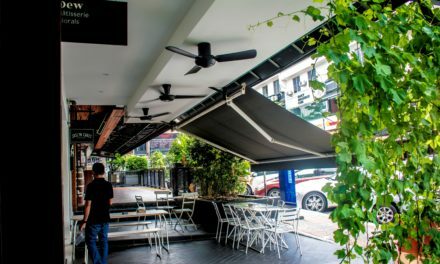 Although we had cuts from the sharp wires, we managed to finish them on time.